In what seems like the blink of an eye, the kids you’ve raised are all grown up and off to college. As parents, you’re worried. More importantly, you’re anxious to visit them! 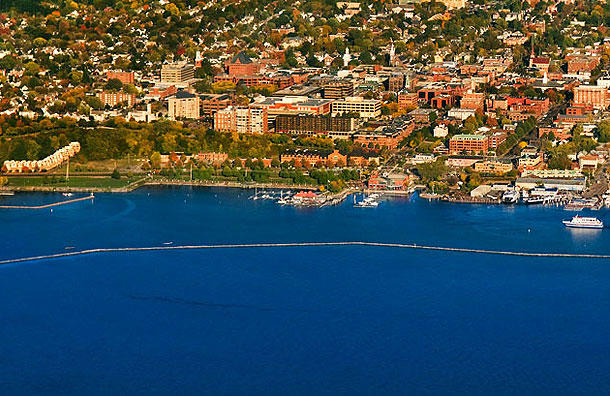 We’ve taken the time to compile what we believe are the top 10 most family-friendly college towns in the United States. 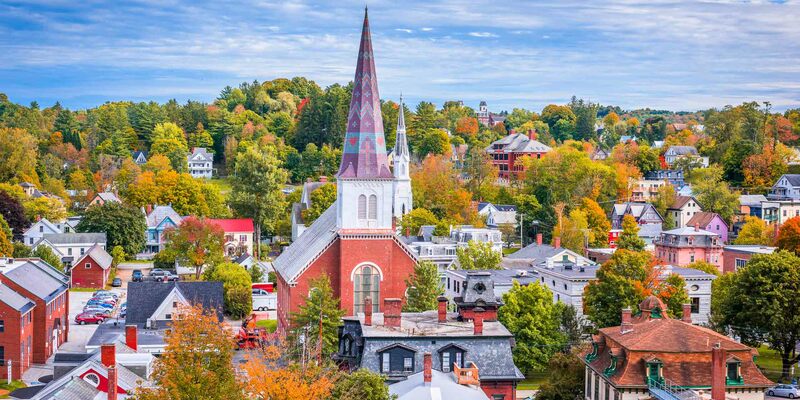 These towns and cities are ranked in no particular order, but each one offers plenty of family-friendly accommodations, attractions, entertainment and more for families visiting college students. Over the past decade, Austin has emerged as a cultural hub in the Southwest, with plenty of entertainment and one of the largest up-and-coming music scenes in the country. In the middle of all the action is the University of Texas at Austin. Another member of the original eight Public Ivy schools, UT Austin receives great scores and ratings from just about every ranking system, most notably for its education, pharmacy, law, engineering and journalism programs. During your visit, take your college student to Esther's Follies, Austin's most popular theatre. Esther's Follies has been bringing visionary magic, music and politically driven sketch comedy to Austin for more than 30 years. It's an excellent way to unwind, relax and have a good time. To see the city's true beauty, visit Town Lake Hike-and-Bike Trail, an attraction full of great scenery across acres of lush landscape. 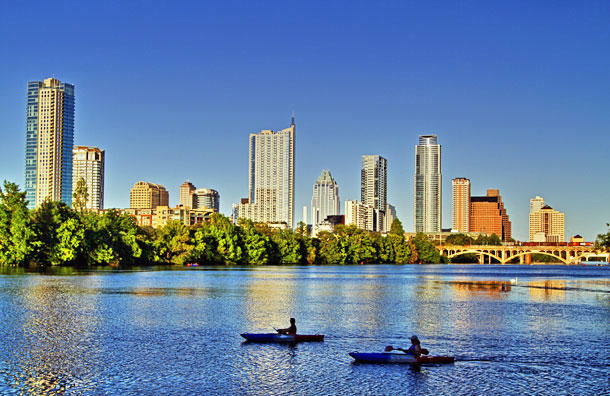 Also check out Town Lake, Zilker Metropolitan Park and Barton Springs Pool. And if you want to experience the whacky, offbeat kind of fun that Austin offers, ask your son or daughter to show you around downtown Austin. There, you'll enjoy museums, art galleries, concert venues and more shops and restaurants than you can imagine. Also check out Austin's "SoCo District" on South Congress Avenue. Vermont has some of the world's freshest and lightest powder. 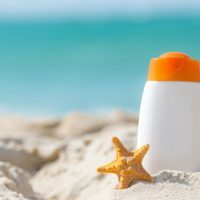 With over 40 resorts crammed into the 45th smallest U.S. state., Vermont is a skier and snowboarder's dream. And thankfully for your teen, the University of Vermont is a great school, located just a half-hour away from what many consider some of the best ski terrain on the East Coast -- Smugglers' Notch and Stowe Mountain. When they're not doing homework or cramming for exams, they can blow off steam on the slopes... and you can join them! When it's time for a ski break, check out all the fun in downtown Burlington. Along with a plethora of restaurants and shops, families love Church Street Marketplace, General Butler Shipwreck and the shows at the Flynn Center for Performing Arts. Located right on the Virginia Peninsula, this historic town is home to the College of William & Mary. The college is an excellent public school, whose alumni include former presidents Thomas Jefferson, John Tyler and James Monroe; comedians Patton Oswalt and Jon Stewart; fashion designer Perry Ellis; NFL Hall-of-Famer Lou Creekmur, and a slew of other notables. Your college teen will fit right in! 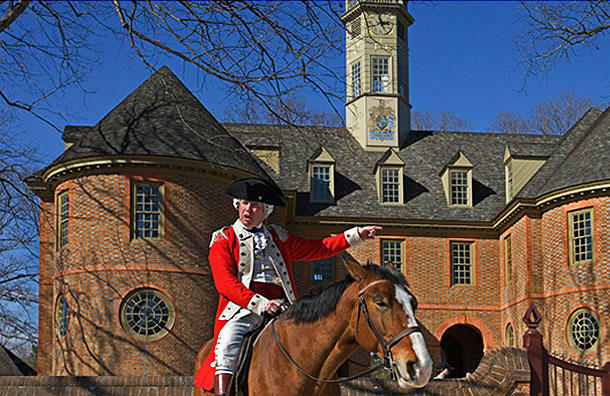 When you visit, check out Colonial Williamsburg, Historic Jamestown and Yorktown Battlefield. If your student needs a real break from the books, head to Busch Gardens and Water Country USA -- a water park with several waterslides, a lazy river and multiple pools (including a wave pool). The area is also known for its delicious food, with a ton of restaurants, bistros, and BBQ joints -- your teen will probably know where to go. 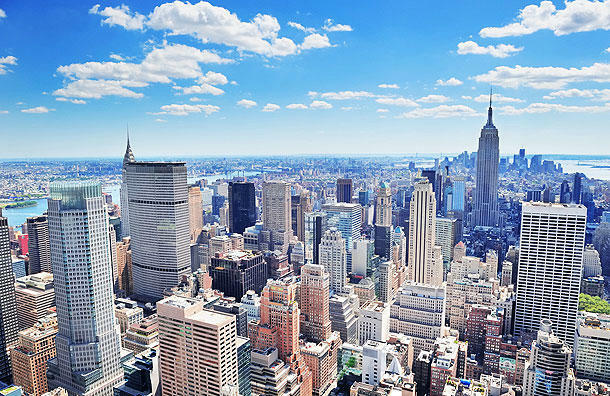 The Big Apple is home to several notable colleges and universities: New York University, Columbia University, Cooper Union, Fordham, The Julliard School, Pace University, Pratt Institute, School of Visual Arts, Fashion Institute of Technology, several CUNY and SUNY campuses, and the list goes on and on. For young adults looking to leave the nest and venture out on their own, New York City is a wonderful place to spread their wings. But when the family is in town, you'll never run out of fun things to do. Check out some of the city's must-see museums, like the American Museum of Natural History, the Metropolitan Museum of Art or the Museum of Modern Art. Families love the view of the Manhattan Skyline from the Top of the Rock Observation Deck or Empire State Building. Go see a show (maybe the The Lion King?) on Broadway, or just spend the afternoon relaxing and picnicking in Bryant or Central Park. The University of Tampa offers a lot for potential students. It has a wonderful creative writing program and well-ranked business and nursing schools. It also offers an excellent variety of graduate studies programs. Oh, and did we mention the weather is gorgeous? 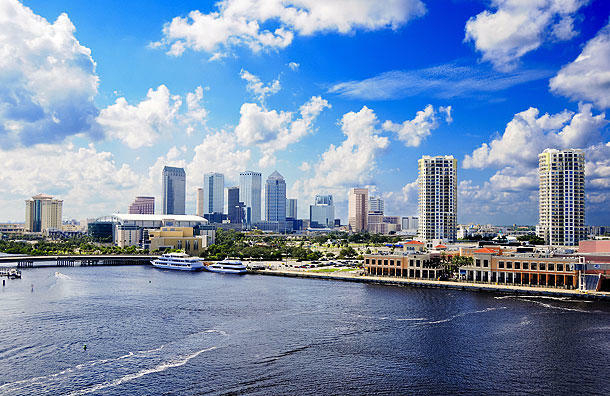 And Tampa is surrounded by a ton of great family-friendly attractions and things to do. Perhaps most notable is Busch Gardens, popular for its roller coasters and waterslides. It also contains one of the most expansive zoos in the entire country -- Serengeti Plain. Swept across 335 acres of beautiful landscape, it features more than 2,700 different animals. Guests can even feed them by hand! If you're itching for some quality time with Mickey and the gang, Disney World is less than an hour away. Los Angeles is home to several notable colleges, including Cal. State Polytechnic University, Cal. State Long Beach, Cal. State Los Angeles and, more notably, both UCLA and University of Southern California. The city is also a family-friendly smorgasbord of activities, offering a wide array of attractions and entertainment, along with gorgeous weather. A perfect day starts on the boardwalk at Venice Beach. Grab something to eat, watch all the fascinating people and pick up souvenirs at all the beachside stands and shops. Then rent a couple bikes at any of the various vendors and take the bike path from Venice Beach all the way down to the world famous Santa Monica Pier. Be careful, as traffic on the path can get heavy! Kids love a ride on the historic and symbolic Ferris wheel, and the pier is full of all types of games and small rides, as well as an excellent old school arcade. Families also love the half-hour drive up the Pacific Coast Highway to Malibu, home to several premier surfing spots. 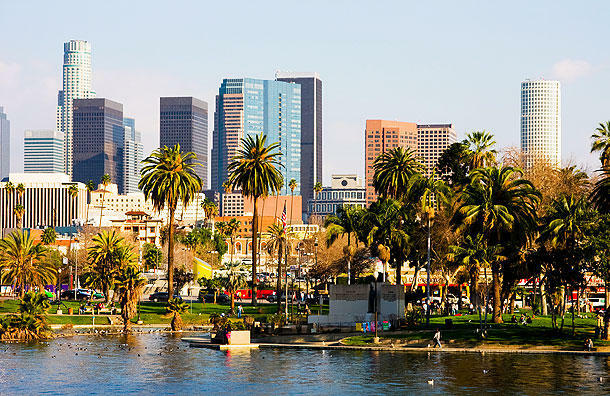 We also recommend trips to the Petersen Automotive Museum, Universal Studios Hollywood, La Brea Tar Pits, The Grammy Museum and the California Science Center -- all centrally located to one another. Don't miss a chance to stroll down the Walk of Fame on Hollywood Boulevard, or enjoy a breath of fresh air at the 4,300-acre Griffith Park. 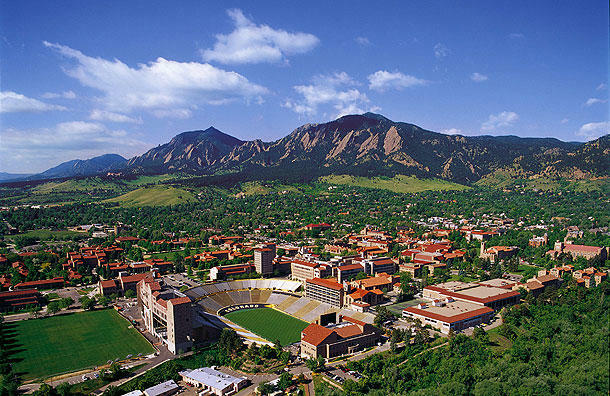 The city of Boulder is home to the University of Colorado at Boulder, one of the state's best universities. The university has highly ranked programs in law, business, aerospace technologies and more. The city of Boulder is also relatively close to all of Colorado's best resorts -- Breckenridge, Beaver Creek, Copper Mountain and Vail; they're all within a two-hour drive. So when you want to check up on your college kid (or really just want to hit the slopes -- don't worry, your secret is safe with us! ), you'll have the best of both worlds. Boulder is also a great little city full of cafes, restaurants and local shops. 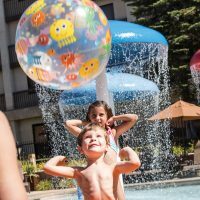 If you're looking for more kid-friendly fun, the university is about a half-hour outside of Denver, where you'll find Water World, the Downtown Aquarium, Denver Zoo, Denver Children's Museum and the Denver Skatepark. This one is obvious. Boston and the surrounding areas are absolutely packed with tremendous schools. Included in the long list are Boston College, Emerson, Harvard, Boston University and Massachusetts Institute of Technology (MIT). If your kid has the brains, Boston has the experience! Boston is also arguably the most important city in American history. It's home to some of the most revolutionary writers and political philosophers of the time period, and the sounds and ideas of revolution still emanate from the walls of the city's oldest buildings; it's the perfect environment for a curious mind. Families can check out famous landmarks like the Old North Church, Boston Common and USS Constitution Museum. Stop for a bite to eat and some shopping in the city's historic Quincy Market. The city also offers several themed tours. We recommend the Ghosts and Gravestones Trolley Tour and a walk down Freedom Trail -- a 2.5-mile brick-lined path that winds its way through 16 of Boston's most historic and famous sights. 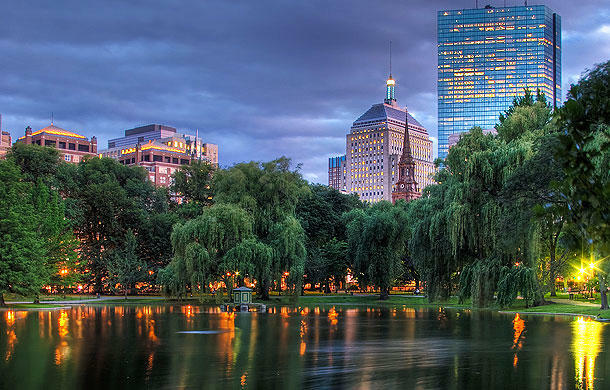 And don't forget about the Boston Children's Museum, Boston Public Garden, a tour of the historic Fenway Park and the New England Aquarium. San Diego is about two hours south of Los Angeles, and has a few very viable schools for potential students to consider. Perhaps the most notable of all is the University of California San Diego. UC San Diego consistently receives high rankings, and is considered a "Public Ivy." It's also ranked one of the top three surfing schools in the country, making it a surfer's dream. 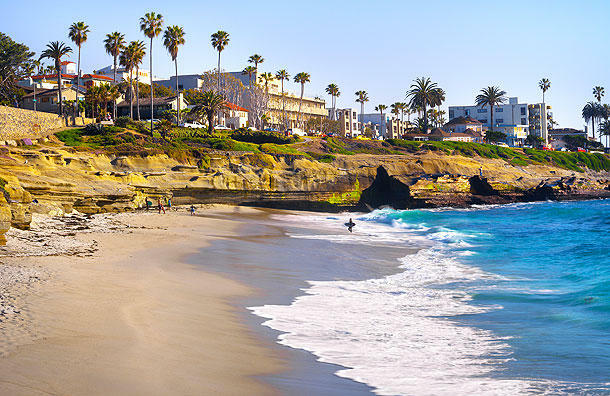 Some of San Diego's most popular beaches include Mission Beach, Coronado Beach, La Jolla Shores and Encinitas Moonlight Beach. Take some time to relax with your feet in the sand and a book in your hand while your bookworm shreds barrels. For those who haven't yet learned how to hang ten, San Diego is packed with family-friendly activities. Our first recommendation is Balboa Park, a 1,400-acre cultural park with 15 museums, including the Aerospace Museum and Model Railroad Museum. Families also love SeaWorld San Diego, the San Diego Zoo, the San Diego Zoo Safari Park and LEGOLAND, all located less than a half hour from campus! Families can also get a taste of the great outdoors with a trip to the 2,000-acre Torrey Pines State Reserve. 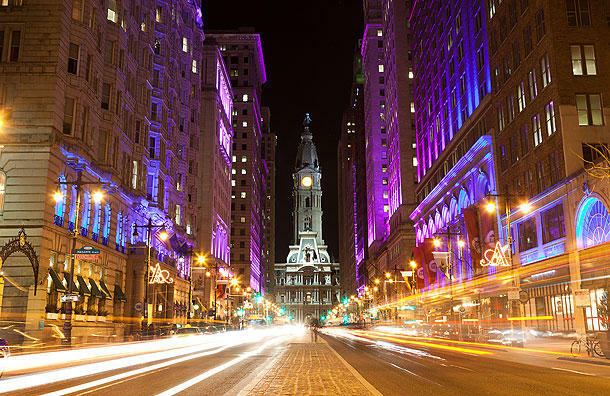 Philadelphia, like Boston, is a city chock-full of history and good schools. With three major universities -- University of Pennsylvania, Drexel University and Temple University -- Philly is a prime location for anyone seriously considering higher education. Not only will mom and dad appreciate the schools, but they'll also love all the city's attractions and events. Ranking high on our list are the Betsy Ross House, Franklin's Print Shop, the Liberty Bell and Independence Hall. We also recommend a trip to the Franklin Institute, named after one of Philadelphia's most popular former residents and Founding Father, Benjamin Franklin. Inside this nearly 200-year-old building, kids and adults will find a variety of different scientific exhibits ranging from Franklin's discovery and utilization of electricity, to a space exhibit where people can check out real space suits and track their houses using real-time satellites. And of course, what would a trip to Philly be without a delicious cheesesteak? There are the age-old staples like Pat's (1237 E. Passyunk Ave.) and Geno's (1219 S. 9th St.), but most locals swear by Jim's Steaks (400 South St.) and Tony Luke's (39 E. Oregon Ave.).